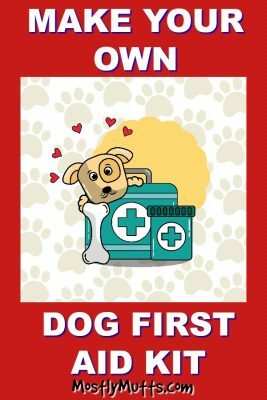 If you are more of a do-it-yourself type person you can make your own dog first aid kit. Easy to do with supplies readily available. You may find that there is not enough room in the six pack size cooler for all these items. The medications,smaller supplies and bandages can be stored in this container. Then, place this container into a larger cooler or small box. It requires a little effort to make your own dog first aid kit, but you will have the peace of mind in knowing that you’ll be prepared to help your dog in an emergency. Your first aid kit for your dog will help you to be prepared should an emergency arise with your four-legged family member. However, there will be times when you are away from your home or car without access to your main first aid kit. When on a hike or walk, particularly in woodsy or hilly areas, it’s easy to encounter bees ar sharp objects. A smaller basic version of your first aid kit for dogs will really come in handy. Small zippered pouch or bag, preferably one that attaches to your belt (fanny pack) or fits easily into your backpack. All these items will be much smaller versions of those in your regular dog first aid kit. They are meant simply to be used when you don’t have easy access to your larger kit. 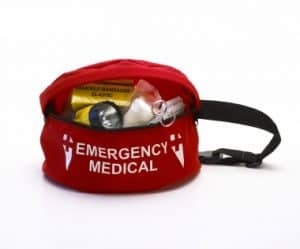 When back at your home or car, you will probably need to utilize some of the other items in your large first aid kit. 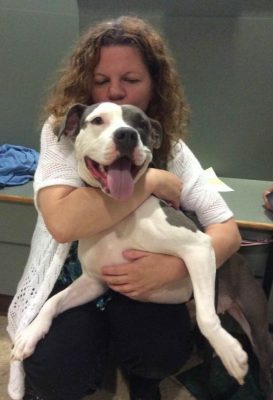 Of course, if the injury is serious, take your dog to the Vet immediately!